Description: A pleasing circle of vines, with a flower that is blossoming on the end. 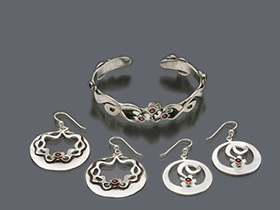 Made of sterling silver, the flower comes with a blue turquoise stone or a red garnet. 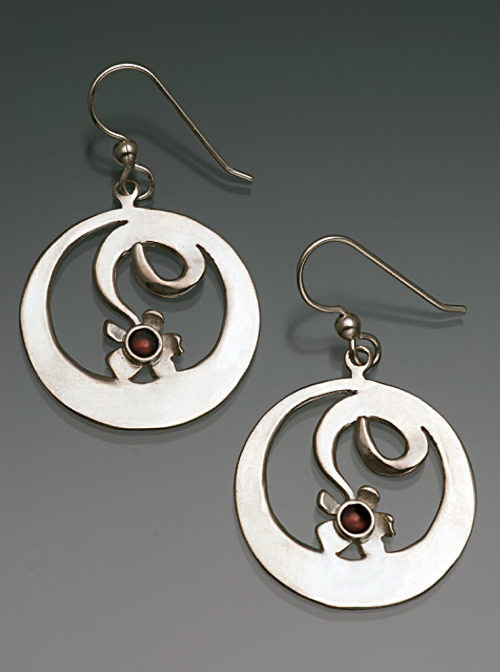 The earrings are mounted on a card with a ''reflection'' printed on the back that reflects the spirit of the design: "Gentleness - Awaken the gentleness within you and feel it flower."